Web hosting is among the most beneficial online businesses offering you a lifestyle income with reasonable efforts. However, starting a web hosting business on your own requires a wide array of resources including infrastructure, manpower and support system. Understandably, it requires a considerable capital if you really want to earn a decent revenue. If you are interested in benefiting from web hosting business but lack the required capital then you can consider joining EverData’s partner program and resell their hosting plans. Should I join Everdata’s Partner Program? EverData Partner program is easy to join and offers you a wide array of hosting plans to resell including Shared Hosting Plans, VPS Hosting Plans, Dedicated servers and cloud hosting, among others. Investment is low (plans starting from Rs.40 per month), full entrepreneurial support is offered and you will also get comprehensive E-commerce suite for free that includes an Online store, marketing tools, billing and client management. But it is better to evaluate the plans and features deeply and offers well to take an informed decision. 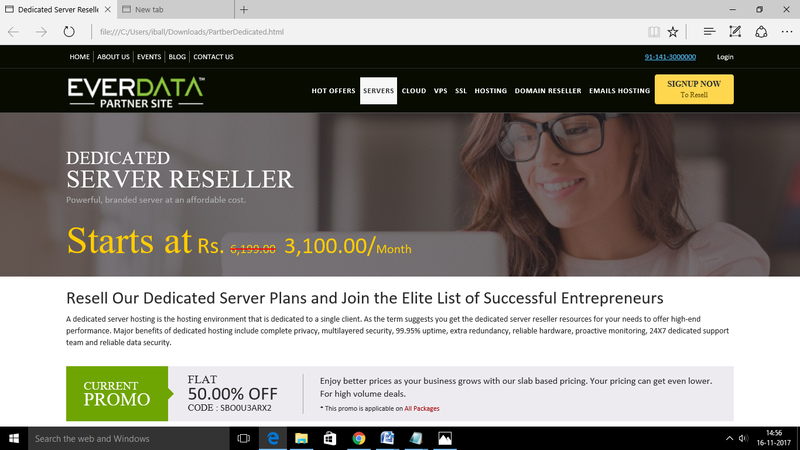 The single domain hosting starts at Rs.40 that is feather-light on the pocket and you can also opt for the Business plan to enjoy reselling the unlimited amount of vital resources like bandwidth, emails, and disk space. Even the lowest priced plan offers 5 GB of disk space and up to 10 GB bandwidth that is quite sufficient for resellers who are targeting modest blogs and start-ups. There are a few differences between Linux and Windows hosting with regards to control panel and other proprietary features. 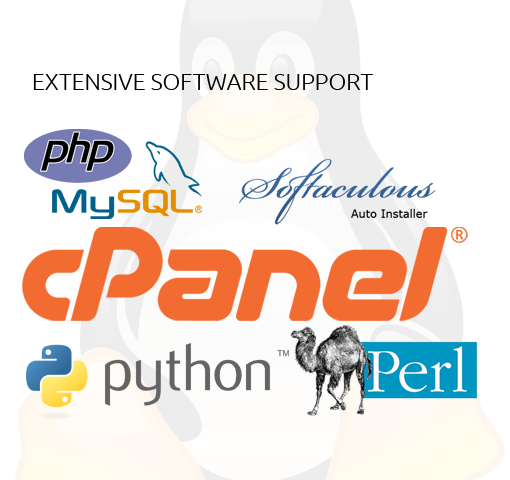 Linux uses cPanel while window hosting is fuelled by Plesk. 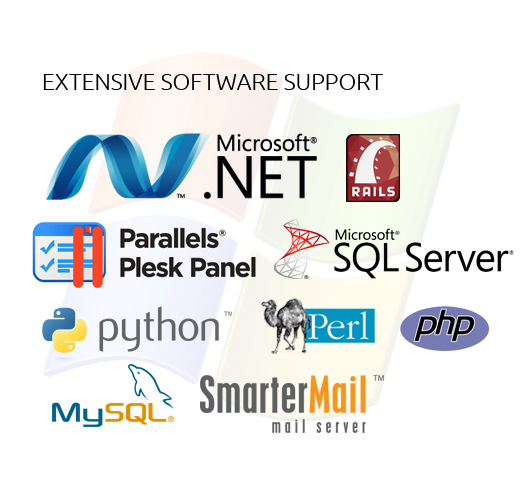 Besides, window hosting comes with Microsoft SQ server, Ruby on Rails and Microsoft.Net. · Optimized for resellers: EverData Partner Program offers unique reseller specific features like premium hardware, extensive scalability, and Award-winning customer support via different communication mediums. Moreover, the wider range of plans and highly competitive pricing strongly establishes the commercial sense of the deal. · Beginner-friendly ecosystem: EverData Partner Program’s Linux plans are specially designed to support the resellers with limited technical knowledge. The single click installation script by softaculous and graphical interface of cPanel make the entire journey easy and convenient for resellers. It simply means that you will never face any operational issues due to lack of technical expertise. · Reliable Resources: EverData Partner Program clearly excels when it comes to the resource size. Apart from the options for unlimited disk space, bandwidth and domain names the company also guarantees 99.95% uptime. That is your perfect USP for acquiring e-commerce clients who can frequently experience intense traffic fluctuations during their last minute deals. Additionally, with a better than average uptime you can also attract popular blogger with the high number of visitors. Needless to say, 99.95% uptime is the ultimate deal maker for you. 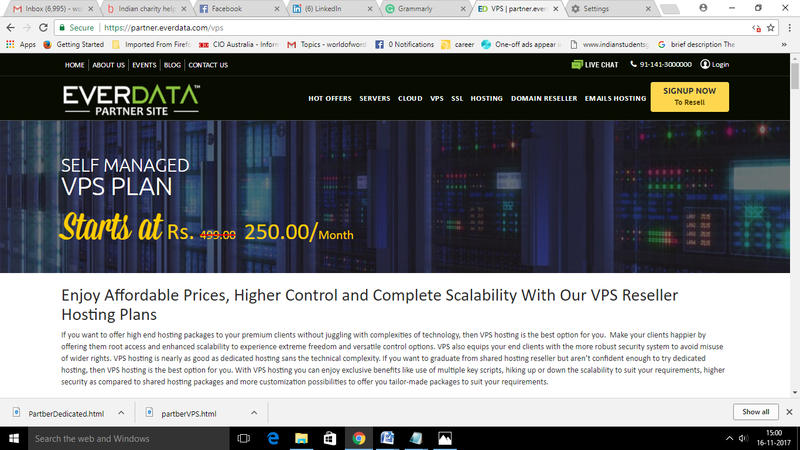 If you want to offer premium services to your clients then you can go for EverData Partner Program’s VPS hosting plans that allow you to provide more security to your clients’ sites while enhancing their privacy level. You will be offered versatile control options that prepare you to offer better services. · Supports different budgets and requirements: EverData Partner Program offers you multiple options to choose from. There are as many as 5 different plans under the umbrella- Basic, Standard, Business, Pro, and Elite. The features and prices differ for each plan. The basic plan starts from Rs.250 per month while the most advanced Elite Plan comes at Rs.3250 and justifies its price with features like core 6, 16 GB RAM, 150GB space and a massive 1000 GB bandwidth. · Choice of Operating Systems: Operating system is one of the key factors while deciding the right type of VPS hosting plan for you. On this front, EverData Partner Program offers you a wide menu card so that you can choose the one that appeals to you the most. It includes multiple choices like Centos, Ubuntu, Windows, Debian etc. Hence you will be able to offer more choice to you end clients and thus keep them happy. · Reliability: Reliability is among the most important features that your end clients look for when they spend a heavier price tag for VPS hosting. Apart from the premium hardware resources the company also offers you N+1 power and network backup. These things definitely help you to get a winning edge and positive influence the customer choices. Dedicated servers are ideal for the resellers who want to cater to elite clients who are particular about security and privacy. The dedicated plans are priced high but at the same time offer better security and privacy. EverData Partner Program offers dedicated servers at a reasonable price that fully justifies the features, functionalities, resources, and capabilities of the plans. · High Performance: The multicore high-performance server helps you to enjoy the better reputations. Considering the fact that many of your clients might belong to MNCs or act growing medium companies such premium technology acts as a strong feature that affects the sales. · Premium Support Technology: Support is the foundation for any subscriber specific services. The availability of premium technology effectively enhances the capability of support staff. On this front, EverData Partner Program offers your end clients a complete Remote Desktop Access that can be considered the best support technology as it allows the support staff to directly resolve the issue without having to spend time explaining lengthy technical things to the client. · High Security: The security is one of the major issues that encourage clients to opt for VPS servers. On this front, the company employs 3M technique- Monitoring, Maintaining and Managing. There are separate technical squads hired to monitor the servers, look after the maintenance and at the same time quickly manage any issues that may arise. The use of sophisticated technology and seasoned technical staff ensures the premium grade security against the latest malware and bots. What will you gain from EverData Partner Program as a reseller? EverData Partner Program offers a wide number of opportunities to help their resellers grow and thrive at different stages of the reselling business. Right from sophisticated technology to premium grade business support, the company provides extensive assistance to its resellers. Here are a few salient features of EverData Partner Program. 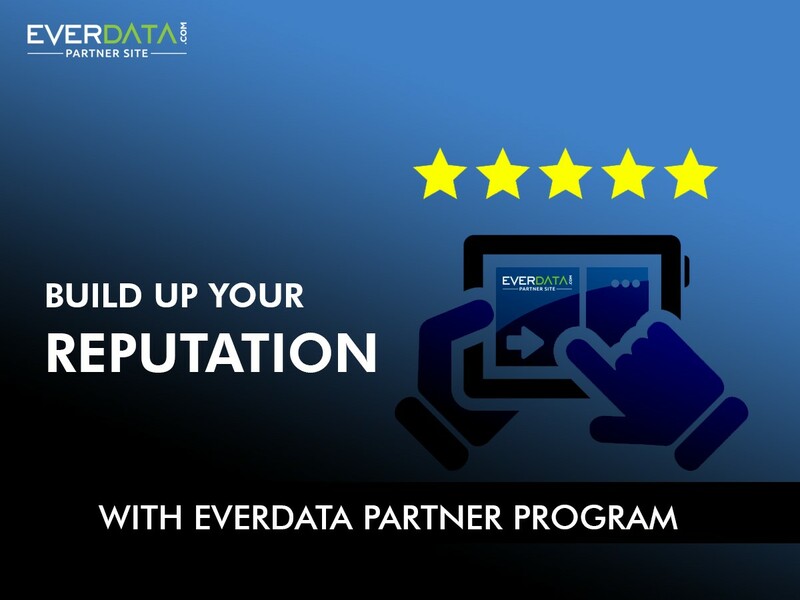 EverData Partner Program offers a well-designed storefront where you can confidently exhibit your web products. The storefront comes with extensive customization options to suit the personal branding requirements. You can also change the visuals and functionality of the storefront to leave an ideal influence on your targeted clients. The premium entrepreneurial support offered by the company is simply unmatchable. As a reseller, you will not only get the entire suite of digital tools to manage different stages of your business but will also be offered extensive rewards based on the milestones you achieve. That helps you to add the required boost to the revenue while at the same time keeps you motivated. You are free to attach any price tag to the hosting plans you resell. It helps you to grow as an independent entrepreneur and test your business acumen without reservations.